Added a feature which allows the scanner page to remember the last scanner used. Enhanced the stability of Scanning in Vizit. Streamlined the UI in Vizit Essential and relocated the toolbar to the top of the viewport. Redesigned the Licensing page in Central Administration to show licensing information and provide better reporting when issues arise. Print and Download functionality can be disabled in Vizit Essential via Central Admin. They are now disabled by default. The link generated when sending a link to a document in Vizit PRO was shortened. Fixed a bug where you could not scroll to the final pages of overly large documents in Vizit Essential. Fixed an issue where annotations were not being saved when in sub sites. Fixed an issue where document names with special characters such as ‘+’ would not load in Essential. Fixed an issue where MSG files with attachments would not load properly. Fixed an issue where the number of Web Front Ends was being counted incorrectly. This would cause some Farms to report that they were not licensed for an adequate number of Web Front Ends, when they were. Fixed an issue where expired licenses would cause the Licensing page in Central Administration to fail. Fixed an issue where certain file types would not load in Vizit Essential when opened via a Search Results page. Fixed an issue where the first page of a document would not load, but would load in subsequent attempts. Fixed an issue where Vizit Essential would fail to load documents in certain Alternate Access Mappings setups. Fixed an issue where the Licensing page would fail to acquire a trusted relationship with the licensing servers. Fixed an issue where “Open Document in Vizit” menu item in the ECB would not work in 2007. Fixed an issue where the Vizit Web Part Settings ToolPart would not display when Vizit was not licensed. Fixed an issue where loading multiple documents in Vizit Pro via a single URL would fail. Fixed an issue where Column Search would not search folders in a list. Fixed an issue where merging documents would fail if you chose to delete the document that was being merged. Fixed an issue where SharePoint’s formatting would be off on pages that had the Vizit Web Part. Fixed an issue where Vizit Pro would become unstable after merging two documents. Fixed an issue where double clicking rows in Column Search or SharePoint Search results in Pro would not open the target document. Fixed an issue which prevented scanning from working in Forms-based Authentication setups. Fixed an issue which would cause Vizit Essential Panning tool to appear above the WebPart edit dropdown menu. Fixed an issue where the Font-Size drop down in the annotation context menu would appear below its parent menu. Fixed an issue where printing 1BPP documents after viewing or printing a color document in Pro would yield blank pages. Fixed Paging in Column Query. Fixed a rendering issue which caused Vizit buttons to not align properly when multiple document libraries were displayed on a single page. 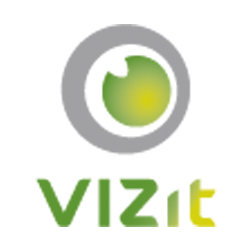 Fixed a bug which prevented Vizit.API.Save from working. Fixed an issue which caused Vizit Help to not load in Chrome. Fixed an issue in Column Search which would not display a date correctly if the field type was changed after the value was set. Removed Last Modified Date, Checked Out By, and Last Modified By from the Document Explorer. Removed support for sessionless web front ends without a UNC based cache path.